As the fifth season opens, Elena, after a passionate summer with Damon, heads to college nearby with Caroline as her roommate. Plus, a terrifying appearance by Silas. A fellow Whitmore student named Jesse gives Elena some intriguing information about Professor Wes Maxfield. Damon asks for help finding Stefan. Elena and Katherine both dream that Stefan is in danger and convince Damon to help them find him. But their plans are thwarted by a mysterious woman who seems to know everything about Stefan's past and Damon's disturbing future. Elena meets a sad and secretive student on campus. 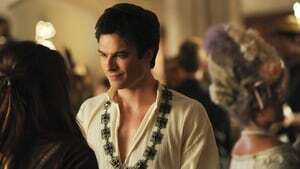 Elena and Damon attend the Whitmore Historical Ball dressed as Anne Boleyn and Henry VIII. While there, Elena receives a disturbing message from Dr. Maxfield. Nadia reveals her surprising history to Katherine;. Silas demands that Damon commit an unthinkable act. Silas announces his new goal to Damon and Elena. Tessa tells Stefan about her next move. Katherine discovers an unexpected consequence of being human and realises she needs a new place to stay. Bonnie is touched by Jeremy's determination to stand by her. Damon is stunned when he learns the secret to Tessa's plan. Dr. Wes gives Katherine some disturbing news. Jeremy and Bonnie share a glimmer of hope after talking with Amara. Silas fails to keep a promise which causes Damon to turn to Tessa for help with his new plan. Stefan makes a heartbreaking confession to Damon and Elena. Elena and Caroline plan a big party at school, but their plans are interrupted when Jesse suddenly needs Caroline's help. Meanwhile, Damon makes a terrifying discovery about a secret society. Caroline offers Stefan an unusual form of therapy. Meanwhile, Damon tells Elena about a terrible ordeal in his past that he has kept secret for decades, and she shares with him some disturbing information she recently learned about her family. 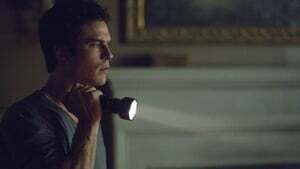 Damon tries to get back together with Elena, however, Katherine has a plan and attempts to take Elena's body permanently. Tyler is upset with Caroline and Matt is used by Katherine. Enzo finds Damon and they decide to become a team again. Caroline convinces Elena and Bonnie to attend Whitmore College's Bitter Ball for broken-hearted students. Bonnie meets a fellow student who appears to be dabbling in witchcraft. Tyler worries about Matt's relationship with Nadia. Damon and Enzo resort to violence to convince Bonnie and Jeremy to help them get revenge, but their plan takes a horrifying turn. Damon's behavior escalates from destructive to deadly. 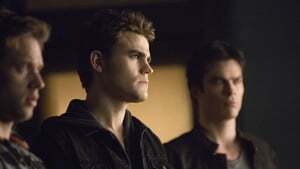 Stefan begins to regret their last conversation and tries to track Damon down and intervene. 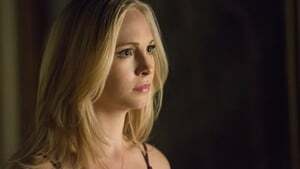 Dr. Wes enlists the Travelers to set a trap that will test Damon's friendship with Enzo; and a talk between Caroline and Stefan leads to a horrifying realization. Nadia recalls her centuries-long search for her mother. Stefan, Caroline and Matt come up with a desperate plan to save Elena's life. Damon baits Tyler into an ugly confrontation and seeks revenge against Dr. Wes. Bonnie learns a terrifying secret that threatens the lives of all her friends. Damon tries to find the right way to make a disturbing confession to Elena. Caroline discovers a scary secret in Dr. Wes' files. Enzo claims to have a solution everyone is searching for. Sloan reveals new information on the importance of doppelgangers. Bonnie has an unsettling encounter with Luke, and learns more about his family history. The Travelers' leader, Markos, arrives in Mystic Falls. Stefan and Elena experience unsettling dreams of the life they might have had together. Bonnie has a disturbing encounter with Grams. Enzo searches for a woman he loved decades ago. Bonnie learns that Jeremy is working with Liv. Matt has a terrifying encounter with inhabitants of the Other Side. Stefan and Elena become stranded in a remote location, after escaping from Markos, and he gets philosophical about her relationship with Damon. Damon sets a trap for Markos. Bonnie admits that she's been keeping the truth about the Other Side from everyone. 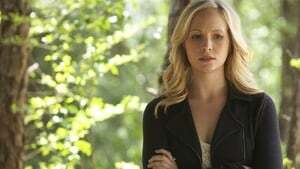 Caroline witnesses an unthinkable act of violence by one of the Travelers.